FORD 1.8 DIESEL INJECTOR LEAK OFF ORING SEAL SET OF 4 MADE FROM VITON-70 UPGRADE MATERIAL. Labour claims are never accepted. At AMS we know how difficult buying car parts can be, but we do everything we can to make it as easy as possible. 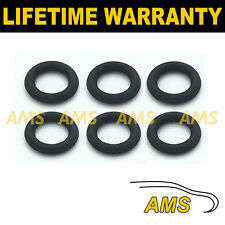 VAUXHALL 1.9 DIESEL INJECTOR LEAK OFF ORING SEAL SET OF 4 MADE FROM VITON-70 UPGRADE MATERIAL. Labour claims are never accepted. At AMS we know how difficult buying car parts can be, but we do everything we can to make it as easy as possible. Labour claims are never accepted. At AMS we know how difficult buying car parts can be, but we do everything we can to make it as easy as possible. Labour claims are never accepted. 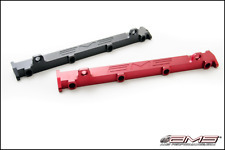 The AMS EVO IV/V/VI/VII/VIII/IX Fuel Rail provides increased fuel flow which is necessary at higher boost levels. AMS Logo CNC’d into the face of the rail. Mitsubishi Evolution 4, 5, 6, 7, 8, 9. Bolts directly to the factory fuel lines, no modifications needed. JEEP 3 DIESEL INJECTOR LEAK OFF ORING SEAL SET OF 6 MADE FROM VITON-70 UPGRADE MATERIAL. Labour claims are never accepted. At AMS we know how difficult buying car parts can be, but we do everything we can to make it as easy as possible. At AMS we know how difficult buying car parts can be, but we do everything we can to make it as easy as possible. Labour claims are never accepted. VOLVO 2.4 DIESEL INJECTOR LEAK OFF ORING SEAL SET OF 5 MADE FROM VITON-70 UPGRADE MATERIAL. Labour claims are never accepted. At AMS we know how difficult buying car parts can be, but we do everything we can to make it as easy as possible. Labour claims are never accepted. At AMS we know how difficult buying car parts can be, but we do everything we can to make it as easy as possible. Use the table above to see if your car matches the specification. AUDI 2.5 DIESEL INJECTOR LEAK OFF ORING SEAL SET OF 6 MADE FROM VITON-70 UPGRADE MATERIAL. Labour claims are never accepted. At AMS we know how difficult buying car parts can be, but we do everything we can to make it as easy as possible. Suitable for the models below with N40 N42 N45 N46 engines. This kit provides the Ideal solution to cure the problem of VANOS (Variable Valve Timing Unit) failure on BMWs fitted with straight 4 engines. Suitable for the models below with M52TU M54 M56 engines. 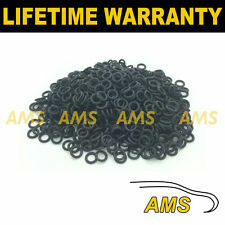 VITON-70 ORINGS & PTFE WEAR RINGS REPAIR FOR BMW 6 CYLINDER ENGINE VANOS SOLENOIDS. This kit provides the Ideal solution to cure the problem of VANOS (Variable Valve Timing Unit) failure on BMWs fitted with 6 Cylinder engines. 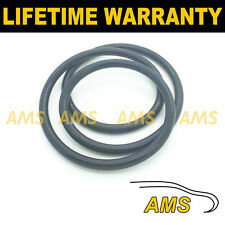 LAND ROVER DISCOVERY 2.5 1998-2005 TD5 INJECTOR SEALS. Contents: 5 x Viton 70 injector oring seals. Labour claims are never accepted. Made from: VITON-70 Heavy duty upgrade material. LAND ROVER DEFENDER 2.5 1998-2007 TD5 INJECTOR SEALS. Contents: 5 x Viton 70 injector oring seals. Made from: VITON-70 Heavy duty upgrade material. Labour claims are never accepted. RENAULT 1.5 DIESEL INJECTOR LEAK OFF ORING SEAL SET OF 4 MADE FROM VITON-70 UPGRADE MATERIAL. Labour claims are never accepted. At AMS we know how difficult buying car parts can be, but we do everything we can to make it as easy as possible. VITON-70 ORINGS & PTFE WEAR RINGS REPAIR FOR BMW 6 CYLINDER ENGINE VANOS SOLENOIDS. This kit provides the Ideal solution to cure the problem of VANOS (Variable Valve Timing Unit) failure on BMWs fitted with 6 Cylinder engines. BMW | Z4 | E85 | 2.2 | 2000-2006. BMW | Z3 | E36 | 2.0 | 1998-2001. BMW | Z4 | E85 | 2.5 | 1998-2001. BMW | Z3 | E36 | 2.2 | 2000-2006. BMW | Z4 | E85 | 3.0 | 2000-2006. BMW | Z3 | E36 | 2.8 | 1998-2002. LAND ROVER 3.6 DIESEL INJECTOR LEAK OFF ORING SEAL SET OF 8 MADE FROM VITON-70 UPGRADE MATERIAL. Labour claims are never accepted. At AMS we know how difficult buying car parts can be, but we do everything we can to make it as easy as possible. Suitable for the models below with M52TU M54 M56 engines. VITON-70 ORINGS REPAIR FOR BMW 6 CYLINDER ENGINE VANOS SOLENOIDS. This kit provides the Ideal solution to cure the problem of VANOS (Variable Valve Timing Unit) failure on BMWs fitted with 6 Cylinder engines. Made from: VITON-70 Heavy duty upgrade material. Labour claims are never accepted. Check your original part. VAUXHALL 1.3 DIESEL INJECTOR LEAK OFF ORING SEAL SET OF 4 MADE FROM VITON-70 UPGRADE MATERIAL. Labour claims are never accepted. At AMS we know how difficult buying car parts can be, but we do everything we can to make it as easy as possible. 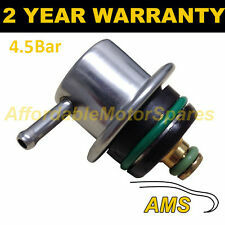 VAUXHALL 1.7 DIESEL INJECTOR LEAK OFF ORING SEAL SET OF 4 MADE FROM VITON-70 UPGRADE MATERIAL. Labour claims are never accepted. At AMS we know how difficult buying car parts can be, but we do everything we can to make it as easy as possible. MINI 1.6 DIESEL INJECTOR LEAK OFF ORING SEAL SET OF 4 MADE FROM VITON-70 UPGRADE MATERIAL. Labour claims are never accepted. At AMS we know how difficult buying car parts can be, but we do everything we can to make it as easy as possible. FORD 2.4 DIESEL INJECTOR LEAK OFF ORING SEAL SET OF 4 MADE FROM VITON-70 UPGRADE MATERIAL. Labour claims are never accepted. At AMS we know how difficult buying car parts can be, but we do everything we can to make it as easy as possible. HONDA 1.7 DIESEL INJECTOR LEAK OFF ORING SEAL SET OF 4 MADE FROM VITON-70 UPGRADE MATERIAL. Labour claims are never accepted. At AMS we know how difficult buying car parts can be, but we do everything we can to make it as easy as possible. HONDA 2.0 DIESEL INJECTOR LEAK OFF ORING SEAL SET OF 4 MADE FROM VITON-70 UPGRADE MATERIAL. Labour claims are never accepted. At AMS we know how difficult buying car parts can be, but we do everything we can to make it as easy as possible. BMW 2.0 DIESEL INJECTOR LEAK OFF ORING SEAL SET OF 4 MADE FROM VITON-70 UPGRADE MATERIAL. Labour claims are never accepted. At AMS we know how difficult buying car parts can be, but we do everything we can to make it as easy as possible. FORD 2.0 DIESEL INJECTOR LEAK OFF ORING SEAL SET OF 4 MADE FROM VITON-70 UPGRADE MATERIAL. Labour claims are never accepted. At AMS we know how difficult buying car parts can be, but we do everything we can to make it as easy as possible. 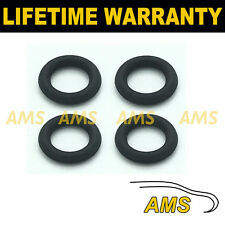 VAUXHALL 2.5 DIESEL INJECTOR LEAK OFF ORING SEAL SET OF 4 MADE FROM VITON-70 UPGRADE MATERIAL. Labour claims are never accepted. At AMS we know how difficult buying car parts can be, but we do everything we can to make it as easy as possible. RENAULT 2.2 DIESEL INJECTOR LEAK OFF ORING SEAL SET OF 4 MADE FROM VITON-70 UPGRADE MATERIAL. Labour claims are never accepted. At AMS we know how difficult buying car parts can be, but we do everything we can to make it as easy as possible. FORD 1.6 DIESEL INJECTOR LEAK OFF ORING SEAL SET OF 4 MADE FROM VITON-70 UPGRADE MATERIAL. Labour claims are never accepted. At AMS we know how difficult buying car parts can be, but we do everything we can to make it as easy as possible. CITROEN 1.6 DIESEL INJECTOR LEAK OFF ORING SEAL SET OF 4 MADE FROM VITON-70 UPGRADE MATERIAL. Labour claims are never accepted. At AMS we know how difficult buying car parts can be, but we do everything we can to make it as easy as possible. RENAULT 1.9 DIESEL INJECTOR LEAK OFF ORING SEAL SET OF 4 MADE FROM VITON-70 UPGRADE MATERIAL. Labour claims are never accepted. At AMS we know how difficult buying car parts can be, but we do everything we can to make it as easy as possible. CHRYSLER 3.0 DIESEL INJECTOR LEAK OFF ORING SEAL SET OF 6 MADE FROM VITON-70 UPGRADE MATERIAL. Labour claims are never accepted. At AMS we know how difficult buying car parts can be, but we do everything we can to make it as easy as possible. AUDI 3.0 DIESEL INJECTOR LEAK OFF ORING SEAL SET OF 6 MADE FROM VITON-70 UPGRADE MATERIAL. Labour claims are never accepted. At AMS we know how difficult buying car parts can be, but we do everything we can to make it as easy as possible. HYUNDAI 1.4 DIESEL INJECTOR LEAK OFF ORING SEAL SET OF 4 MADE FROM VITON-70 UPGRADE MATERIAL. Labour claims are never accepted. At AMS we know how difficult buying car parts can be, but we do everything we can to make it as easy as possible. VOLVO 2.0 DIESEL INJECTOR LEAK OFF ORING SEAL SET OF 5 MADE FROM VITON-70 UPGRADE MATERIAL. Labour claims are never accepted. At AMS we know how difficult buying car parts can be, but we do everything we can to make it as easy as possible. VOLVO 1.6 DIESEL INJECTOR LEAK OFF ORING SEAL SET OF 5 MADE FROM VITON-70 UPGRADE MATERIAL. Labour claims are never accepted. At AMS we know how difficult buying car parts can be, but we do everything we can to make it as easy as possible.